We work with you to ensure you are supported and acknowledged by us here at the hospice. No two partnerships are the same and we appreciate this – our passionate and dedicated fundraising team work professionally to ensure that all parties benefit from the partnerships. We have a lively and engaging Facebook page with thousands of followers, as well as a budding Twitter following and an Instagram account. Our fundraising team are skilled in maximising social media opportunities, and our hospice marketing team are also on hand to produce press releases and bespoke marketing materials. We will give your support the recognition and praise it deserves. Ørsted, a leading off shore wind farm developer, which operates three projects off the coast of Cumbria, have sponsored fundraising activities in 2018-2019. 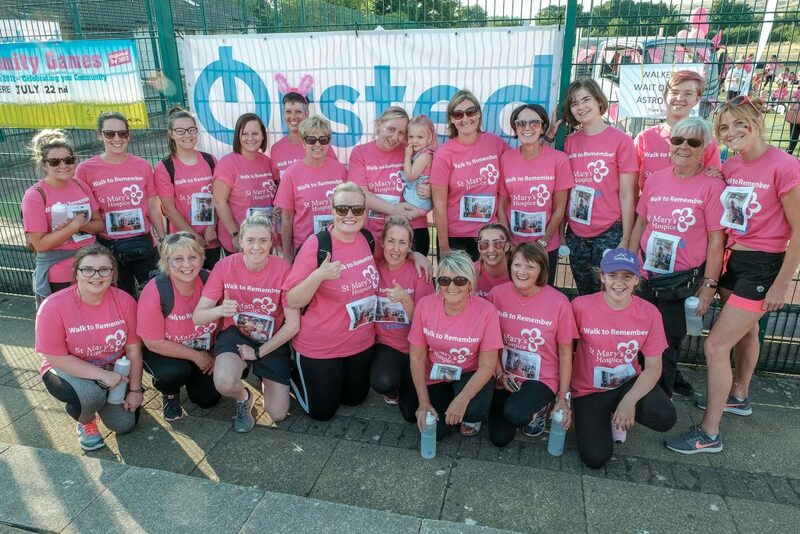 Motivated to increase brand awareness as well as support a cause close to the hearts of their staff, Ørsted’s generous donation allowed the purchase of t-shirts, water bottles and sponsorship of our largest event, the Walk to Remember. Staff also took part in our challenge ‘Skiddaw at Night’, taking advantage of match funding to maximise their sponsorship.